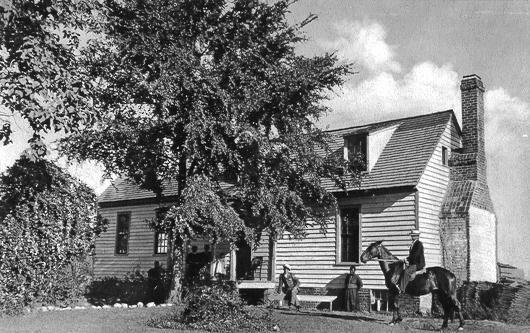 The homestead of William Lexington Eanes(6-14) located on the rise just above the Appomatox River at Goode's Bridge in Amelia County. The house was adjacent to present day Route 360. It is not known if the gentleman on horseback is Mr. Eanes. This house no longer stands. Forward to "The Descendants of Edwards Eanes of Henrico and Chesterfield Counties of Virginia" by Richard Henry Eanes. Copyright 1940. 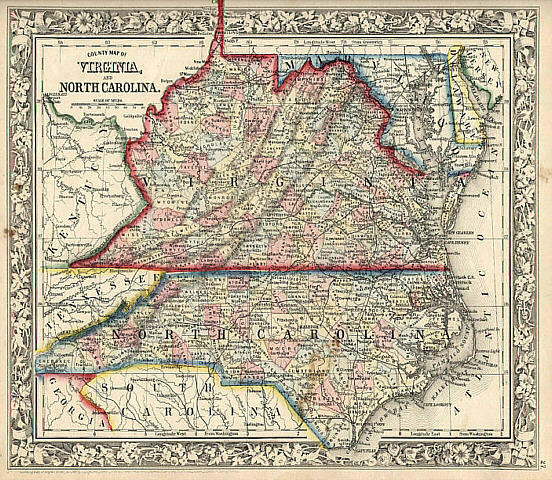 Map of Virginia and North Carolina circa 1863.